Send Birthday gift to most special person in your life. 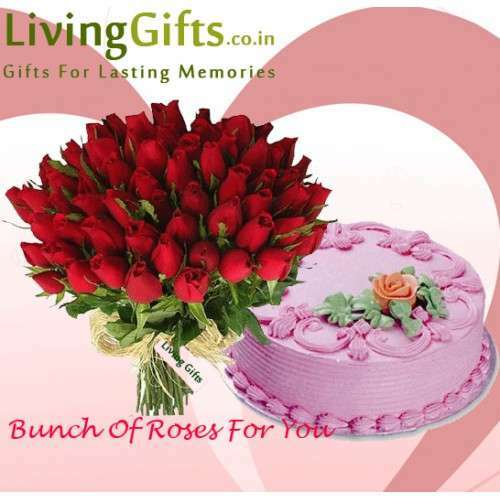 Pamper your loved ones in India with 51 red roses along with 1 kg strawberry egg-less cake. This exciting hamper will surely help you reveal all your lovely feelings, thoughts and expressions. Order this along with other Gifts to India through LivingGifts and make the receiver feel extra special.